Maguindanao, for most Filipinos, is a blood field. 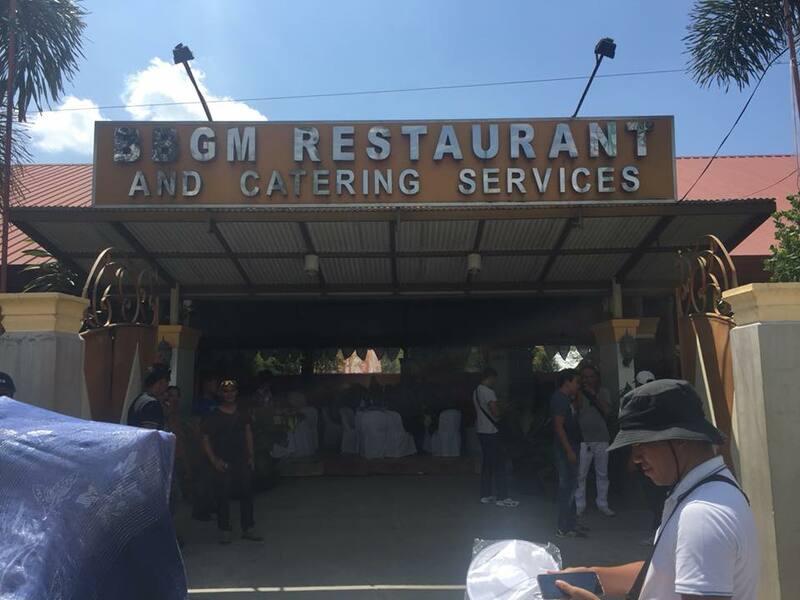 The site was a living story of what happened during the Maguindanao massacre, also known as the Mamasapano encounter in November 23, 2009 which pilfered 58 lives. I have to admit this the reason that discouraged me to visit the place. Dude, how I regretted that. Maguindanao is deeply misunderstood portion of the Philippines. If you’ve never been to Maguindanao, you should definitely include it in your travel list. Maguindanao is situated in the Autonomous Region in Muslim Mindanao (ARMM). For a time, it was part of Cotabato Province until it became an independent province in 1973. It borders Lanao del Sur to the north, Cotabato to the east, Sultan Kudarat to the south, and the Illana Bay to the west. In the last 2 years, Maguindanao has managed to use its Inaul, the colorful weaves of the Maguindanaoan that speaks so much of their vibrant culture and tradition as a capital to attract tourists. 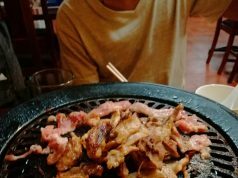 It is safe for people to go to the province! 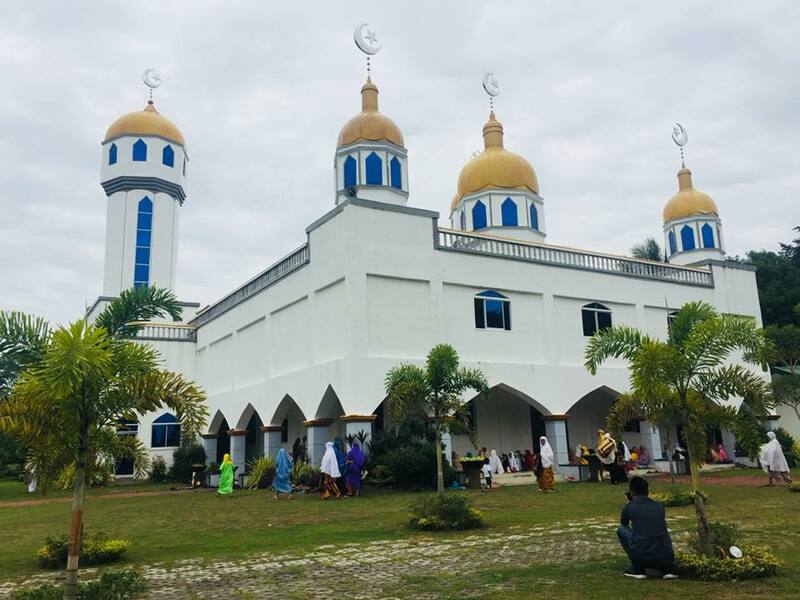 Last February 8 and 9, I had a refreshing experience in Maguindanao, learning new things, appreciating the province’s vibrant and rich culture, acknowledging amazing architectures and trying out delectable Halal foods. I am glad to travel with my fellow blogger CJ of Ten7Avenue and media friends sir Ian of M Magazine and ABS-CBN, Miss Leebai of Edge Davao, Miss M of Mindanao Times and Ace of Sun Star. We left Davao City at around four in the morning. If you are coming from Davao, the easiest way to go to Maguindanao is to ride a bus (Ecoland Terminal) or passenger vans (Venus UV Express terminal in Matina) via Makilala route. Fare is around 300 pesos and travel time is about 2-3 hours. Another option is to ride a bus (Ecoland Terminal) to General Santos City. From GenSan, there are Husky buses and passenger vans that go directly to Maguindanao. Fare is also around 300 pesos. I personally didn’t recommend this route, because the travel time is about 3-4 hours. 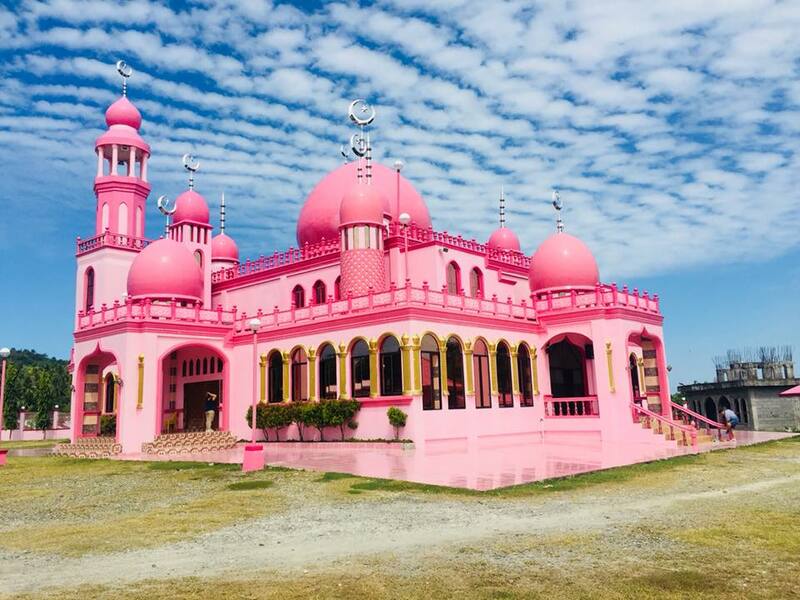 My favorite part of the tour is a visit to the Masjid Dimaukom which is more popuparly known as the Pink Mosque in Datu Saudi Ampatuan, Maguindanao. The mosque was built using the town mayor’s own money. Obviously, who loves pink meant to symbolize peace. Many buildings in the town are painted pink. This includes the mayor’s own house, the town hall, cafeteria, market and some buildings along the highway. Another beautiful mosque in Maguidanao is the Masjid Buluan. Owned by the family of Governor Ismael “Toto” Mangudadatu, Masjid Buluan is the biggest and grandest mosque in Buluan. We arrived around 7 in Buluan, Maguindanao. We had breakfast at an eatery a few blocks from the main road. 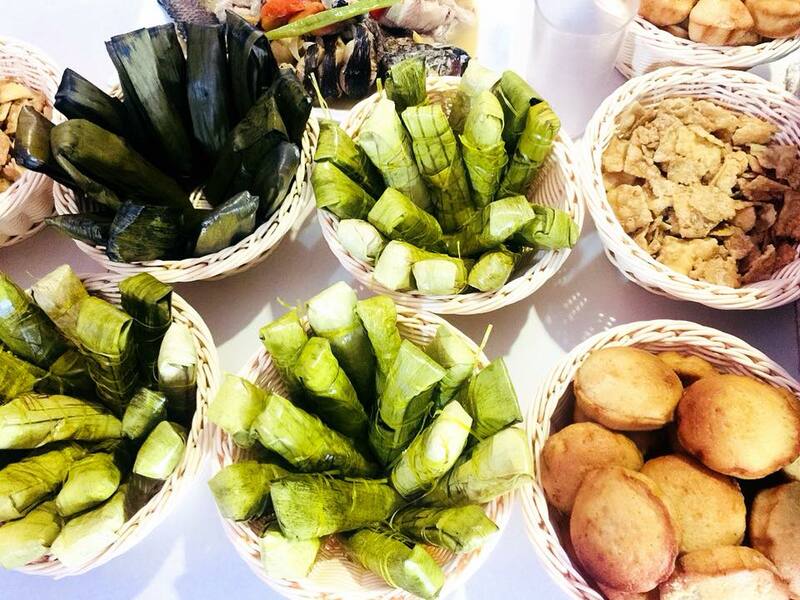 We enjoyed servings of pastil made with glutinous rice, kagikit (shredded chicken/fish) in banana leaves, tinapayan (burong alwan or catfish), sweet and crispy tipas, suman, bulua and a lot more! 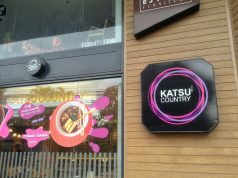 We also tried their brewed coffee. 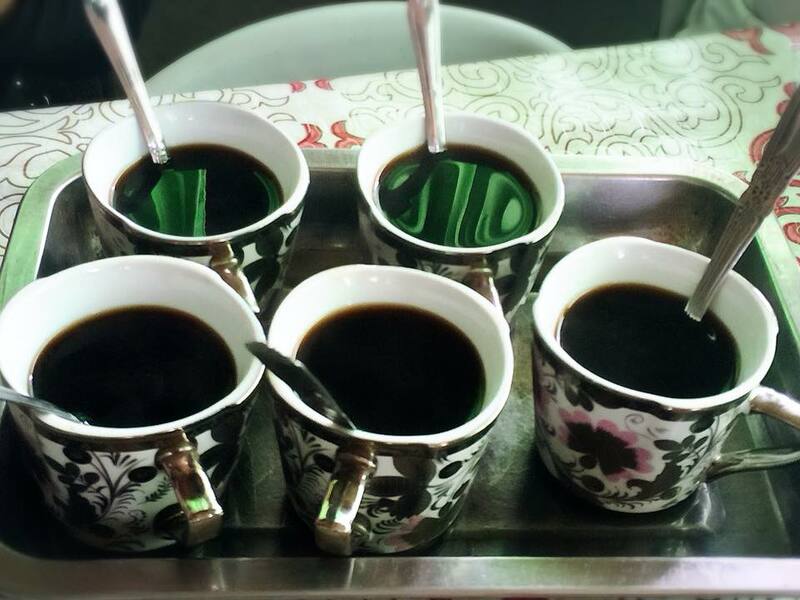 Unlike other provinces in the country, a strong cup of brewed coffee in Maguindanao is not hard to find! 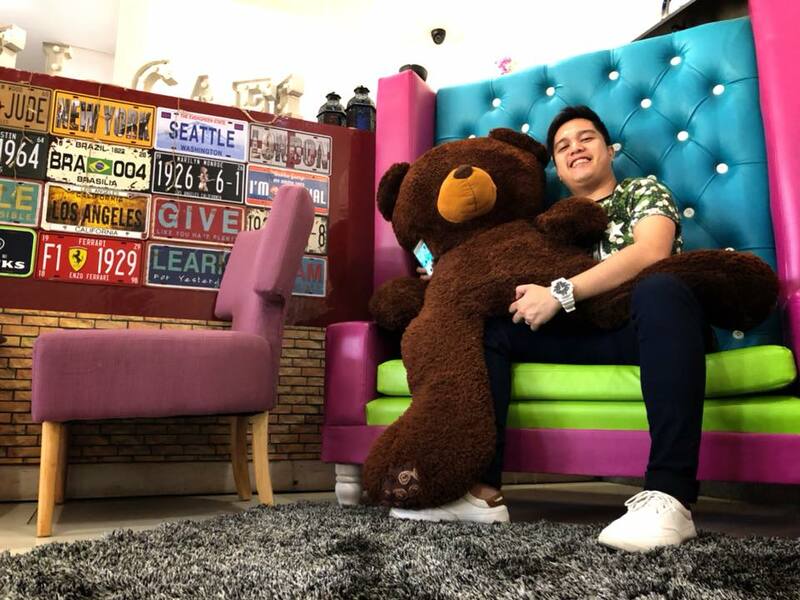 This cafe is very convenient if you’re planning on eating, because it is inside Buluan center, it offers good coffee, comfort food, and an instragrammable ambiance and also conducive for casual meet-ups or doing some remote work, albeit a weak WiFi connection. Budget for food/coffee is around 100-200 Pesos. 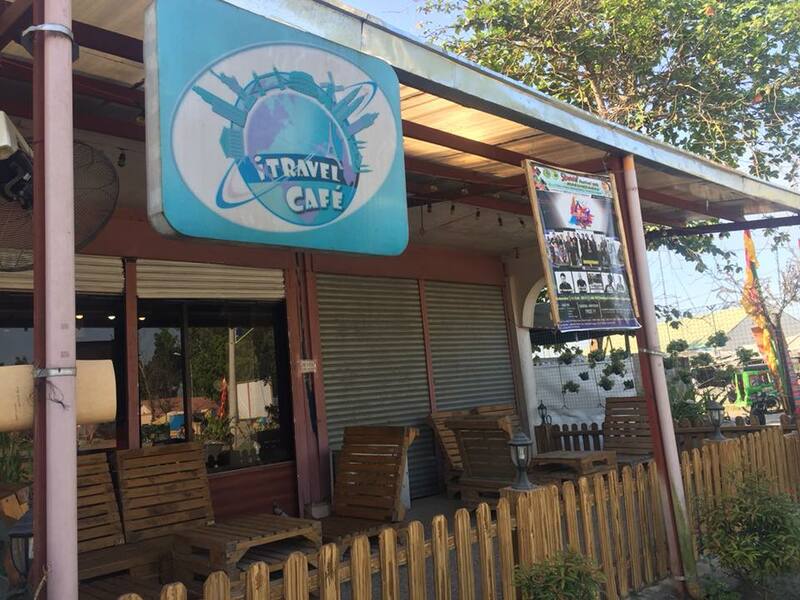 I will have a separate post about this cafe and some of the delectable traditional dishes of Maguindanao in a separate post. 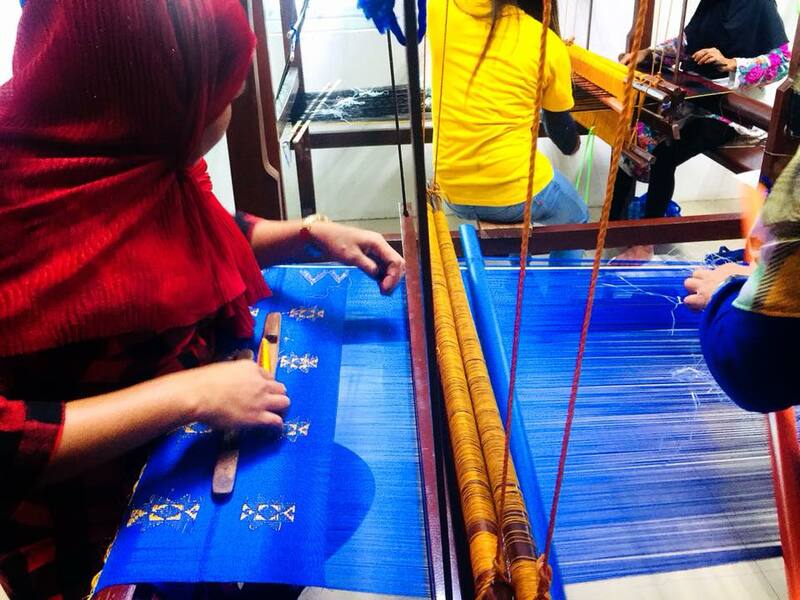 Inaul is Maguindanao’s local hand-woven fabric. 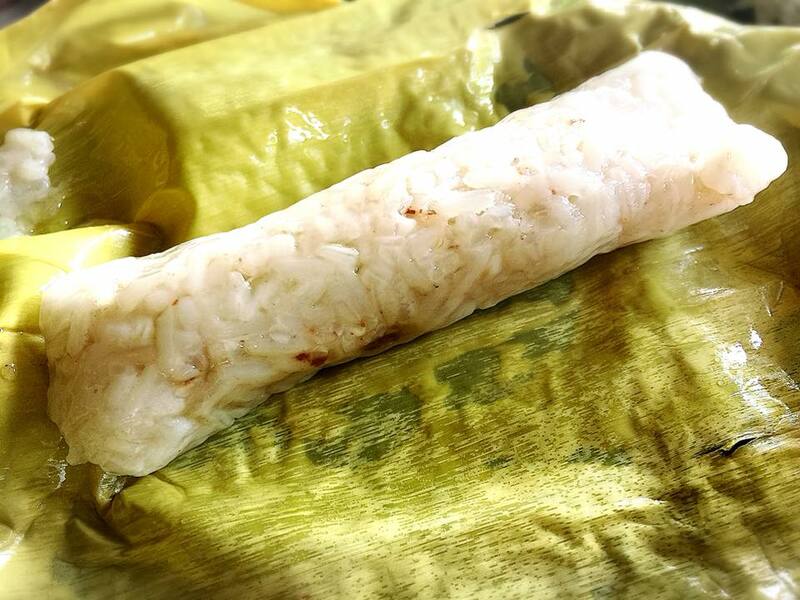 It is a treasured cultural tradition as it captures the Maguindanao symbol of distinction and royalty. 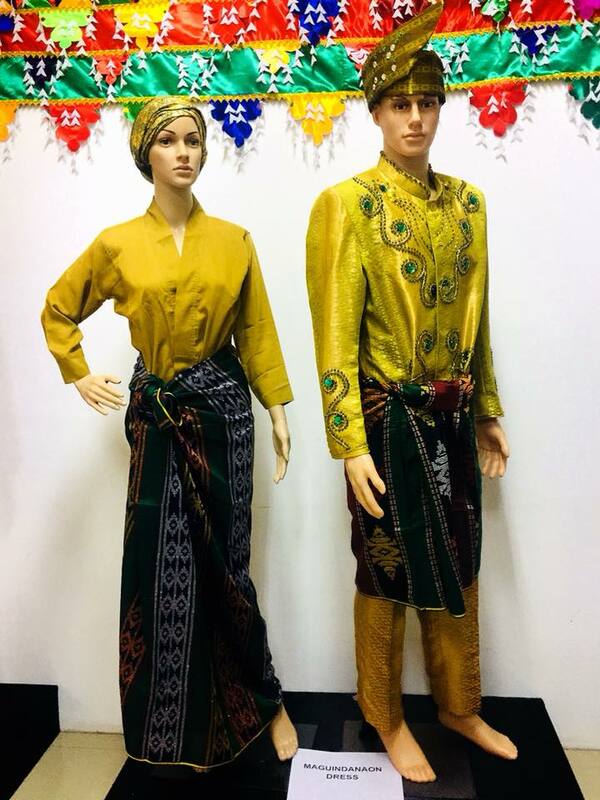 Some Inaul fabrics are more intricate than others, being interwoven with real gold threads and depicting designs very Maguindanaon in nature. Thanks to DOT-ARMM and Provincial Government of Buluan for bringing us there last February 2018 during the celebration of the first Inaul Festival!